Friday 31 March & Monday 3 April We Spoke and Hackuarium will present a two-day workshop introducing composers to the exciting possibilities of creating music for Living Instruments. 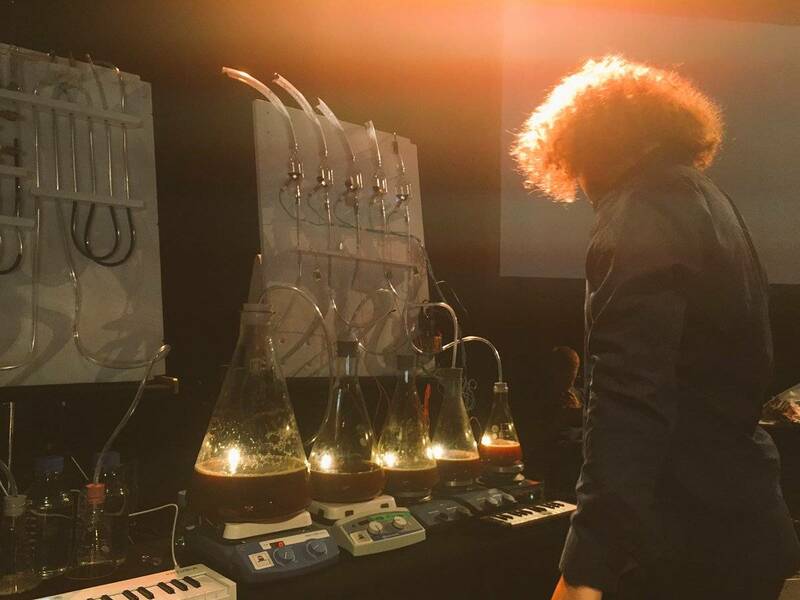 Living Instruments are an ensemble of musical instruments based on microorganisms such as paramecia, built in Hackuarium by a team including classically trained musicians and professional and hobbyist scientists. Performers stimulate the micro-organisms to generate sounds, for example by applying heat and movement. Enlarged video footage of the movement of fermentation bubbles, paramecia and more is displayed on a large screen behind performers. Video-recognition software turns these movements into data which is translated into sound via MaxMSP patches. In this workshop, composers will learn about the instruments, go away to develop their own MaxMSP patches, and return to record and perform their pieces for the Living Instruments at a free, intimate show in the Oto Project Space on Monday night. Workshop attendance is strictly limited to 10 composer spaces. Email us to apply. Please send your CV and a few sentences about why you’re interested in working with the Living Instruments. Learn about the Living Instruments and see how they interface using sample MaxMSP patches. Write your own MaxMSP patch at home. Fine-tune your piece on the Living Instruments, sound check. With Living Instruments, performers stimulate the microorganisms to generate sounds, for example by applying heat and movement. Enlarged video footage of the movement of fermentation bubbles, paramecia and more is displayed on a large screen behind performers. Video-recognition software turns these movements into data which is translated into sound via MaxMSP patches.